ASDA are one the UK’s largest and well known super markets. They create a large array of their own products in house and sell them in store. 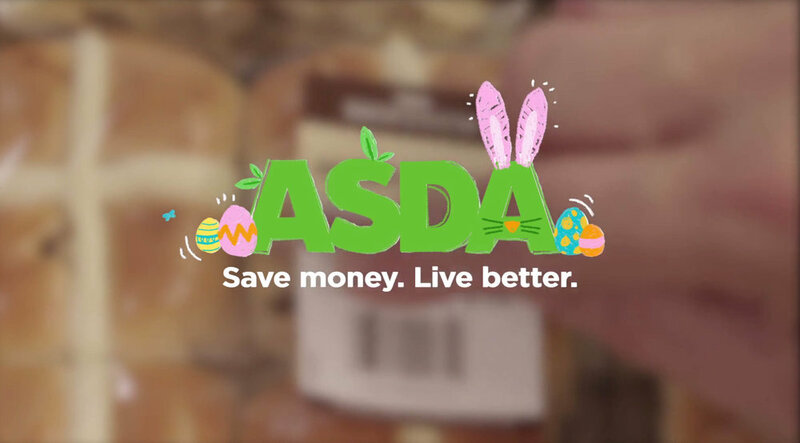 We were commissioned by Manchester creative agency BJL to produce a social media video for Asda's Easter Campaign. We followed the journey of the hot cross bun through the industry bakery all the way to the store shelf. Time was not on our side for this production. The quality of a hot cross bun is minute specific as ingredients will degrade if they’re left out longer than necessary. The whole process for a stack of hot cross buns takes approximately 20 minutes. We had to reset lighting and cameras between each location within the bakery. Planning and an efficient team were key to making this video production seamless.